Made in the USA. 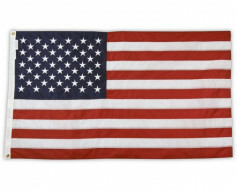 Cotton American flag with matte finish (not shiny). 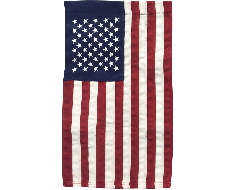 Historic look and feel with embroidered stars and sewn stripes. 4 rows of stitching on the fly end for extra durability. Cotton is best used indoor or on a covered porch as cotton absorbs water and dries slowly. 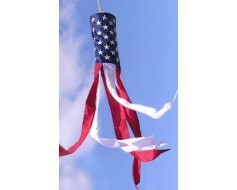 5x9.5' cotton flags are often used for funerals, draped over a casket. It is a natural fiber which can be buried with less harm to the environment than it's nylon or polyester counterparts. 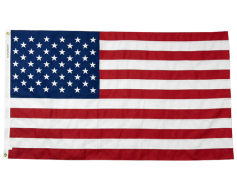 For a durable outdoor flag that looks and feels like cotton, check out our heavy duty polyester American flags. The quality of my flag is fantastic. 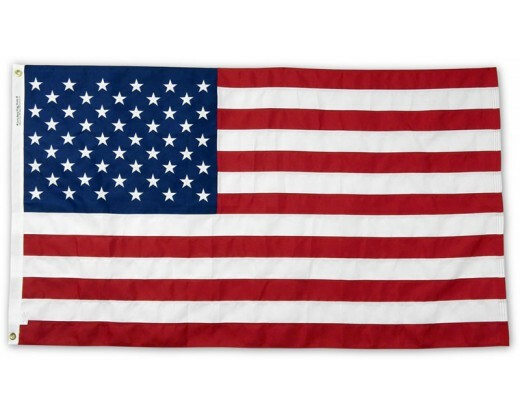 I could tell somebody cared about making this flag because the craftsmanship is top notch. Have it hanging over bed. Customer support was great in helping me pick the correct dimension. Go USA! Ridiculously fast shipping. 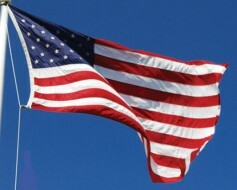 This flag will be used by our funeral home transport team. Chose cotton so it wouldn't slip. After receiving my flag in the mail, I noticed that one of the stars was missing some embroidery. I called their customer service and sent them a picture of the issue. They promptly sent me a replacement flag with no questions asked. Thatâ€™s good customer service and will be rewarded by me in the form of numerous future purchases.